MiiTRAK is a producer/engineer from the UK. He has enjoyed success under several guises by having tracks chart in the Top 100, appear on various albums and receive airplay from ‘A-listers’ across the globe. Although producing & engineering for himself and others has always taken priority, he has also been fortunate enough to play alongside the likes of W&W for example. His productions have been played and supported by Markus Schulz, Paul Van Dyk, Judge Jules, Jordan Suckley, Paul Thomas, Roger Shah, Kyau & Albert, Giuseppe Ottaviani, Myon & Shane 54, Sean Tyas, Maarten De Jong, Mark Sherry, Artento Divini, Flash Brothers, Max Graham, Andy Moor, M.I.K.E., Full Tilt plus many, many more. For this summerish ibiza style track he teamed again up with Lorraine Gray. She is no stranger in the scene anymore with more than 20 releases. Lost is a reflection of the journey from darkness into a lighter and happier place. 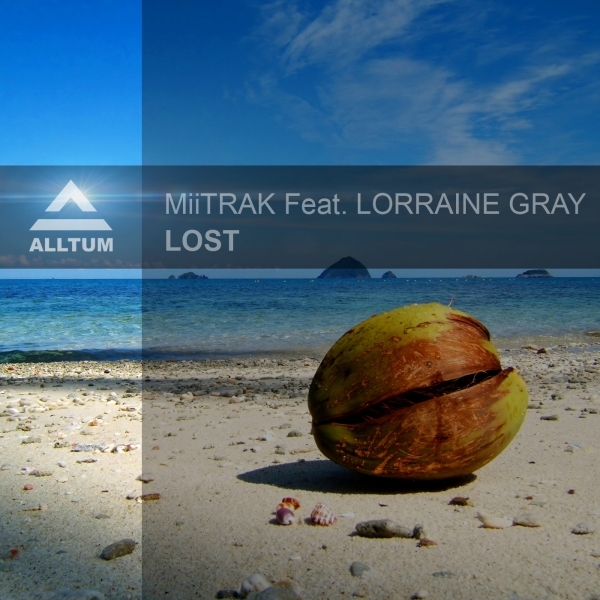 Lorraine and Miitrak allready worked together earlier in their career on the track Rising which allready got supported by Judge Jules and Simon Patterson. Including remixes by John Gregory and Alan Marques & DJ Lloyd. Don’t miss this great package!